Oh Crap Potty Training is Jamie Glowacki's 6-step, proven process to get your toddler out of diapers and onto the toilet that has already worked for tens of thousands of kids and their parents. Here’s the good news: your child is probably ready to be potty trained EARLIER than you think (ideally, between 20–30 months), and it can be done FASTER than you expect (most kids get the basics in a few days—but this method has you covered even if it takes a little longer). Oh Crap Potty Training can solve all of the common issues around potty training. This isn’t theory, you’re not bribing with candy, and there are no gimmicks. Buy "Oh Crap Potty Training" by clicking the image above. 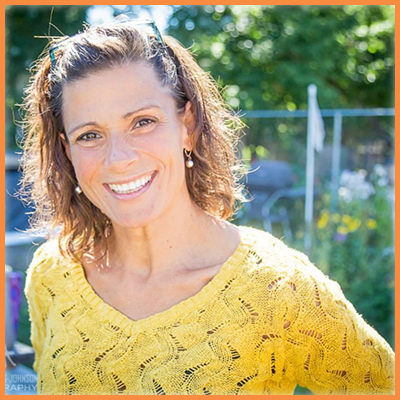 Jamie Glowacki, aka "The Pied Piper of Poop" developed the Oh Crap Potty Training method. Jamie first learned to potty train kids over 10 years ago while a social worker, both in San Francisco and Rhode Island. She worked with dual diagnosis moms and as a parent educator, teaching potty training was part of her job, not the hot button issue it is today. When her son was 22 months, she ducked out of her mom circles for a week to potty train. She was still unaware of the modern cultural potty drama until every person exclaimed that it was IMPOSSIBLE to potty train A BOY at 22 MONTHS! She did and he did and suddenly he was a rock star on the playground. People started asking her how she did it everywhere she went. She started holding classes and helping parents individually. When I say Jenny has the patience of a saint, I’m not exaggerating. Jenny is almost miraculous in knowing how to talk parents down from the cliff of potty training troubles. She knows the right questions to ask and more importantly, the right times to listen. Jenny is one of the first Oh Crap! Experts and I was able to work directly with her with over 100 clients. I watched her patiently guide strung out parents through some of the craziest situations out there. Having worked through many of the biggest potty training problems with her own daughter, Jenny completely understands how crazy potty training can make you. Once you choose to consult with Jenny, you will immediately feel you are in the best hands.